Verse 36 does not say angelic beings are immortal. It just says that the resurrected saints will be in a condition similar to the angels. However, unlike the angels who have eternal life which can be destroyed, people who participate in the first resurrection are given immortal life as sons of God. Because these children of God are immortal, they have life that springs forth from itself which never dies or decays and is not dependent on any other source to sustain it; therefore, they cannot die (1.Tim.1:17, 6:12-16, Heb.2:9:10; 1.Cor.15:50-56). Angels are not immortal spirit-beings; they are eternal beings, which have their life sustained by the power of God. Eternal life can be terminated, which is documented by the many scriptures that show the destruction of evil spirits. In verse 24, the English word destroy is a translation of the Greek word appolumi, which means 'to destroy fully', 'complete destruction', 'to perish', or 'to die'. This same word is used many times to describe the utter destruction of individuals and places (Matt.10:28, 12:14, 21:41; Lk.17:29). All of these examples of the word apollumi are used to convey utter or complete destruction. Both the Hebrew and the Greek words for destroy mean 'the destruction and cessation of existence'. Evil spirits know they can be destroyed. Some evil spirits know they are going to die for their rebellion. Jesus has the power to destroy evil spirits. “And I saw an angel come down from heaven, having the key of the bottomless pit and a great chain in his hand. And he laid hold on the dragon, that old serpent, which is the Devil, and Satan, and bound him a thousand years, And cast him into the bottomless pit, and shut him up, and set a seal upon him, that he should deceive the nations no more, till the thousand years should be fulfilled: and after that he must be loosed a little season” (Rev.20:1-3 KJV). See also Isa.24:21-22. “Forasmuch then as the children are partakers of flesh and blood, he also himself likewise took part of the same; that through death he might destroy him that had the power of death, that is, the devil” (Heb.2:14 KJV). See also 2.Thes.2:8. In verse 14, the English word destroy is a translation of the Greek word katargeo, which comes from the root argeo, which means 'to render entirely useless.' It can also mean 'to abolish', 'to cease', 'to vanish away', or 'to utterly destroy'. Christ will utterly destroy Satan. There is nothing in the Greek word katargeo that indicates anything other than destruction; it does not show that Satan will continue to live. Indeed, it indicates he will be utterly destroyed. Verse 14 also shows that Jesus has the power to destroy Satan. “And I have set you so: you were upon the holy mountain of God; you have walked up and down in the midst of the stones of fire. You were perfect in your ways from the day that you were created, till iniquity [lawlessness] was found in you. By the multitude of your merchandise they have filled the midst of you with violence, and you have sinned: therefore I will cast you as profane out of the mountain of God: and I will destroy you, O covering cherub, from the midst of the stones of fire” (Ezk.28:14-16 KJV). darkness" forever? Here is the PLAIN TRUTH! What will be the fate of Satan the devil, and his demons, who rebelled against God aeons ago and sought to depose Him from His throne and take over the Universe? Some think that since God created Lucifer as an angel, a spirit being, that God boxed Himself in a corner and cannot destroy him, but can only punish him forever -- and ever and ever and ever, time without end. As evidence of this, they point to Revelation 20:10, where we read: "And the devil that deceived them was cast into the lake of fire and brimstone [sulphur], where the beast and false prophet are, and shall be tormented day and night for ever and ever." What does this verse really describe? Is this proof of never-ending punishing? Is it evidence that God will create a never-ending lake of fire which will burn throughout all eternity, its main function to cause indescribable suffering and pain and torment to the devil for ever and ever? This theory, which is commonly believed, has a major flaw, however. It pictures God as being short-sighted, not seeing the end from the beginning, and as being terribly cruel, vindictive, and indifferent to excruciating suffering! Do we really think God was so short-sighted that He did not realize from the beginning that even a spirit being could go astray and break His commandments and become incredibly rebellious and wicked? God knew from the moment He made the angels free moral agents, that they could decide to rebellion against Him. Therefore it stands to reason that He would have made provision from the beginning for the possibility of rebellion among any or some of His created angels! That is, from the very beginning He must have known that one or more of His angels, having free moral agency and independent choice, could choose to disobey Him and flout His eternal laws and ways. In the book of Job we read: "Behold, he putteth no trust in his saints [holy ones, which can include angels, certainly]; yea, the heavens [where angels dwell] are not clean in his sight" (Job 15:15). In another passage, we discover, "Behold, he put no trust in his servants [angels]; and HIS ANGELS he charged with folly " (Job 4:18). In addition, "yea, the stars [angels -- see Rev.1:20] are not pure in his sight" (Job 25:5). God was never deceived; He knew from the very beginning that creating beings with free moral agency and the capacity for independent thought demanded that such beings also have the capacity to rebel and turn against Him! Therefore, there can be no doubt that He made adequate and righteous provision for such a possibility from the very beginning! What, then, is God's solution to the "rebellion problem"? Is it eternal burning and torment in a "lake of fire"? For a finite act of rebellion, would God be constrained to exact an infinite penalty? For an act which occurred in a finite or limited space of time, would He be compelled or forced to punish interminably, forever and ever? Do Satan and his demons possess immortality, and therefore their punishment requires eternal punishing and torment? Or, can angels themselves, by the power of God, be put to death? It is an axiom that the Creator is always more powerful than His creation. A builder can destroy or tear down anything that he builds or constructs. In fact, experience teaches us that it is always much easier to destroy something than it is to build something in the first place! Consider: It takes a real craftsman and cunning builder to build a beautiful home; but any fool can take gasoline and matches, and destroy such a building! Many have assumed that Satan and his demons are eternal spirit beings, and therefore cannot be destroyed, or ever be put "out of their misery." They "assume" that such beings are "immortal." But is this true? The apostle Paul wrote plainly, of God, "who is the blessed and only Potentate [only true independent Power], the King of kings, and Lord of lords: WHO ONLY HATH IMMORTALITY, dwelling in the light which no man can approach unto; whom no man hath seen or can see: to whom is honor and power everlasting" (I Tim.6:16). If only GOD has true immortality, then this means no angel has it! That is, no angel has independent, eternal "self-existence" with true self-inherent immortality! Some may wonder why Jesus then said that of those in the resurrection, that they "cannot die any more: for they are equal unto the angels" (Luke 20:36). Does this mean angels cannot "die" because they are immortal spirit beings? Let's not read into this verse our own pre-determined belief! All it says is that angels of God IN HEAVEN (see the parallel passage in Matthew 22:30), who did not rebel against God, who proved themselves to be loyal, cannot "die" a natural death! This means that since they proved themselves loyal to God, He will ALLOW them to live forever, and they will not die. It does not state here, however, that God could not destroy any being if He chose to do so, and terminate the life of that rebellious being! The principle of Scripture which governs God's punishment for all SIN is found in Romans 6:23, where we read: "The WAGES of SIN is DEATH; but the GIFT of God is eternal life through Jesus Christ our Lord" (Rom.6:23). Sin by definition is lawlessness or rebellion against God (I John 3:4). The penalty of sin, in the Court of Heaven, is simply DEATH -- not burning and torment forever and ever and ever, ages without end! In fact, no being can have eternal life apart from God Himself -- except as a "gift" from God! And anything God "gives," He can take back if the recipient proves himself to be rebellious and unworthy of the gift! sabbath days to do good, or to do evil? to save life, or to DESTROY it?" The Greek word for "destroy" in these verses is apollumi which means "to destroy fully," and is translated in various places as "destroy, perish, die, lose, mar" (see Strong's Exhaustive Concordance, #622). The fact that a spirit being can be destroyed, or killed, should not really surprise us. Remember, God Himself, the Logos, the Word, literally BECAME FLESH and dwelt among us (John 1:1-2, 14). Then, as Jesus Christ, our Saviour, He DIED on the cross, for our sins. Thus a spirit being literally became flesh, and died. Only because He was later resurrected by the Father did His life resume once again! Think about that. What is to keep God from likewise, with His awesome power, from converting the spirit-body of Satan the devil and his demons into destructible, combustible, flammable material? Jesus said in a parable about the wicked, that He will one day say to them, "Depart from me, you who are cursed, into the eternal fire prepared for the DEVIL AND HIS ANGELS" (Matt.25:41). Here the final fate of the rebellious angels is described. But what is "eternal fire"? The word "eternal" here is the Greek "aeonian" and means "age-lasting." 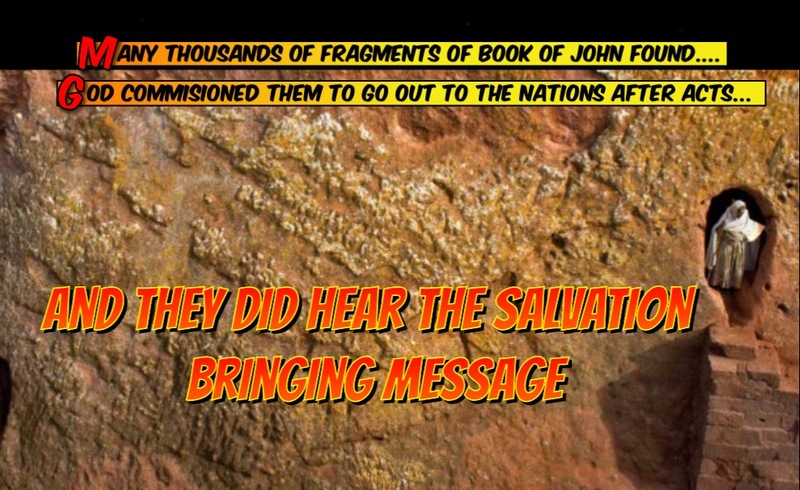 It is the same word used in Jude where the apostle writes that Sodom and Gomorrah, which were destroyed in a fiery destruction, "suffered the vengeance of eternal [aeonian] fire" (Jude 6). Is that fire still burning up Sodom and Gomorrah today? If you were to visit the southern end of the Dead Sea in the land of Israel, today, would you see the smoke still rising and the flames still smoldering, and burning, of Sodom and Gomorrah? Of course not. An "aeonian fire" does not refer to a fire that never goes out! After this "aeonian fire" completely destroyed and obliterated those ancient cities, it burned itself out when there was nothing else left to consume! However, the EFFECT of that ancient fire is eternal. Even so, God has specifically prepared the final "lake of fire" or Gehenna for the destruction of the devil and his demons, and the wicked among mankind who do not turn from their wickedness. It will likewise burn itself out, when it has accomplished its mission of destruction! The Greek Word for "DESTROY"
God's Word does not contradict itself. The Scripture cannot be broken (John 10:35). In Hebrews Paul tells us Jesus Christ will "DESTROY him who holds the power of death -- that is, the devil" (Heb.2:14). The Greek word used here is kartageo [#2673 in Strong's Concordance], from the root kata meaning "down,"
and argeo meaning "to be idle," from argos which means "inactive, unemployed, useless." It means "to be (render) entirely idle (useless); ABOLISH, CEASE, DESTROY, DO AWAY, BECOME (MAKE) OF NO EFFECT, FAIL, BRING (COME) TO NOUGHT, VANISH AWAY, MAKE VOID." This same Greek word is used of the coming beast, or Antichrist, of whom Paul writes, "And then the lawless one will be revealed, whom the Lord Jesus will overthrow with the breath of his mouth and DESTROY by the splendor of his coming" (II Thess.2:8 NIV). The King James Version has this verse, "And then shall that Wicked be revealed, whom the Lord shall consume with the spirit of his mouth, and shall DESTROY with the brightness of his coming." This same Greek word is used in Corinthians, where Paul again writes, "Food for the stomach and the stomach for food -- but God will DESTROY them both" (I Cor.6:13, NIV). Satan's miserable fate is described in the Old Testament, where Isaiah writes, "How you have fallen from heaven, O morning star, son of the dawn! You have been cast down to the earth, you who once laid low the nations! You said in your heart, 'I will ascend to heaven; I will raise my throne above the stars of God; I will sit enthroned on the mount of the assembly . . . I will make myself like the Most High. But you are brought down to the GRAVE, to the depths of the PIT" (Isa.14:12-15). Ezekiel the prophet describes this personage in greater detail. He writes, "You were the model of perfection, full of wisdom and perfect in beauty. You were in Eden, the garden of God. . . . You were anointed as a GUARDIAN CHERUB, for so I ordained you. You were on the holy mount of God; you walked among the fiery stones. You were blameless in your ways from the day you were CREATED till wickedness was found in you." God goes on, describing this celestial being who turned to sin, saying, "Through your widespread trade you were filled with VIOLENCE, and you SINNED. So I drove you in disgrace from the mount of God, and I expelled you, O GUARDIAN CHERUB, from among the fiery stones. Your heart became PROUD on account of your beauty, and you corrupted your wisdom because of your splendor. So I threw you to the earth; I made a spectacle of you before kings. . . So I made a FIRE come out from you, and it CONSUMED YOU, and I reduced you to ASHES on the ground in the sight of all who were watching. All the nations who knew you are appalled at you; you have come to a HORRIBLE END and will be NO MORE" (Ezek.28:12-19). This is a very clear prophecy of the coming FATE of Satan the devil! What could be more clear? He will be turned into ASHES! He will be consumed by a FIRE! He will exist, or "be," "NO MORE"! Moffatt translates this passage as follows: "By the greatness of your guilt, by the crimes of your commerce, you have profaned your sacred position; therefore have I made you SET FIRE TO YOURSELF, WITH FLAMES THAT CONSUME YOU,AND REDUCED YOU TO ASHES ON EARTH in the sight of all who behold you. All who know you among the nations shall be APPALLED at you -- YOUR FATE IS AWFUL, there is NO FUTURE for you" (Ezek.28:18-19, Moffatt). However, what about Revelation 20:10? Notice what this verse REALLY says! The New International Version has this verse more clear than the King James Version. Notice! "And the devil, who deceived them, was THROWN into the LAKE OF BURNING SULPHUR, where the beast and the false prophet had been thrown. THEY will be tormented day and night for ever and ever." What does this verse really say? Notice! First of all this verse does not just describe Satan who will be "tormented day and night." It says "they." The Englishman's Greek New Testament makes this plain. So this fate is also speaking of the beast and false prophet, mortal men, not spirit beings! Yet we know that the incorrigibly wicked do not have immortal souls. They will be BURNED UP in Gehenna fire! 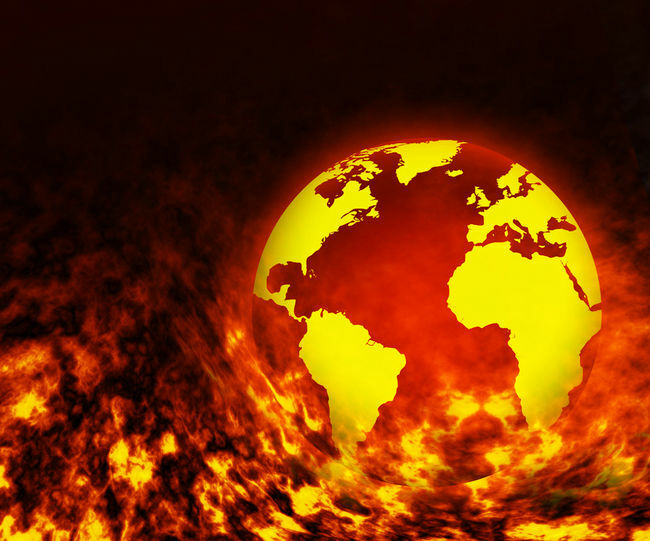 Malachi the prophet records, "Surely the day is coming; it will BURN like a furnace. All the arrogant and every evildoer will be STUBBLE, and that day that is coming will SET THEM ON FIRE, says the Lord Almighty. Not a root or a branch will be left to them. But you who revere my name, the sun of righteousness will rise with healing in its wings. . . Then you will TRAMPLE DOWN the wicked; they will be ASHES under the soles of your feet on the day when I do these things, says the Lord Almighty" (Mal.4:1-3). in the heat. But in keeping with his promise, we are looking forward to a new heaven and a new earth, the home of righteousness" (II Pet.3:10-13). In that great inferno, that awesome, mind-boggling holocaust, even the stars and galaxies will be destroyed, purified by fire, and then re-created once again in a new Universe! But during that awesome blaze, the wicked will perish, consuming away into smoke and ashes, including Satan the devil and his demonic rebellious spirits. Right now they are trembling, being "held for judgment" (II Pet.2:4-5), awaiting that punishment, which will extinguish their very existence! We read, "And the angels who did not keep their positions of authority but abandoned their own home -- these he has kept in darkness, bound with everlasting chains for judgment on the Great Day" (Jude 6). Here again is that word "everlasting." Again, it is the Greek "aeonian," which means "age-lasting." Obviously, the demons are held in these chains UP UNTIL their day of Judgment -- not "forever." What, then, does Revelation 20:10 refer to when it says Satan, the beast, and false prophet, will be "tormented day and night for ever and ever"? Notice, speaking of all the wicked who worship the coming beast and his image, the apostle John also writes, "If anyone worships the beast and his image . . . he, too, will drink of the wine of GOD'S FURY, which has been poured full strength into the cup of his wrath. HE WILL BE TORMENTED WITH BURNING SULPHUR in the presence of the holy angels and of the Lamb. And the smoke of their torment rises for ever and ever. There is no rest day or night for those who worship the beast and his image" (Rev.14:9-11). What does this mean, since eventually all the wicked will be consumed away into smoke and ashes? Can you begin to imagine the torment and anguish that all the wicked will sense, and feel, as they stand before God's Judgment seat? Can you comprehend the awesome feeling of impending doom they will experience, as they hear their sentences being delivered, and as they see the fiery lake, and the approaching flames which will engulf and destroy and annihilate them? to Israel, "you can make them slaves FOR LIFE." See also Deuternonomy 15:17. The King James translates the Hebrew "olam" as "FOREVER," but the New International Version has "for LIFE." The Hebrew word means "concealed, ie., the vanishing point." It can mean eternal, everlasting, perpetual, or till out of mind, till vanished, gone, lasting, long time. What, then, about Revelation 20:10? Obviously, the wicked will be tormented, and in torment and anguish, gnashing their teeth, FOR LIFE -- that is, UNTIL THE MOMENT OF DEATH! -- till they VANISH AWAY and are GONE! Day and night, their final penalty of sin will hang over them, tormenting them, until their judgment arrives, and their fate beckons, and they are finally CONSUMED in the flames which destroy them! They will experience the same sort of anguish and torment which grips murderers on "Death Row," as they wait until their final moment of judgment, and their rendezvous with the electric chair, and that final surge of electricity jolts their flesh and burns and terminates their life! They will hang in torment as long as God allows, until that final moment comes. Thayer's Greek English Lexicon shows that the word "for" in Revelation 20:10 is actually the word "eis" and would more properly be translated as "to, toward, or into." The Greek word "eis" is a preposition and denotes "entrance into, or direction and limit: into, to, towards, for, among." It can simply be rendered "to" or even "towards," Thayer says, "as if it indicated merely MOTION TOWARDS A DESTINATION." Says the Lexicon, "If the surface only of the place entered is touched or occupied, eis, like the Latin in, may (often) be rendered on, upon, (sometimes by unto . . . to mark the LIMIT REACHED, or where one sets foot." The Lexicon adds, the word "eis" has the sense "of motion into the vicinity of a place; where it may be rendered to, near, towards." On the next page, you will see the Thayer's Lexicon's definition of this Greek word, showing how the word is used and its meanings. beginning of the new Age to Come -- as God re-creates the Universe! Consider this analogy. An earthly traveler goes along a road and comes to the outskirts of a city. He comes to a sign marking the city limits. The sign says "Welcome to Pocatello, Idaho." He has reached the city. He has come to Pocatello. He has been proceeding toward it, and now he has reached it -- but he has not entered INTO it. He has reached the edge of the city ("eis"), but he has not gone into it or through it or passed through to the center or gone on through to the other side! Even so it is with the Greek word "eis." In Revelation 20:10, where it describes the fate of Satan and the beast and false prophet [remember, the Greek says "THEY" all suffered the torment], this word means they suffered UP TO THE THRESHOLD OR EDGE OF "FOREVER." IT DOES NOT MEAN THEY WILL SUFFER THROUGHOUT ALL ETERNITY, but up to the "edge" or outer limits of eternity. They will suffer up to the BORDER of eternity, at which point their suffering, anguish and torment will cease because they themselves will "cease" to exist -- they will die, be destroyed, suffer total annihilation. When the elements melt with fiery heat, and the stars and galaxies, and everything physical, is destroyed, the wicked also -- including Satan and his demons -- will likewise be destroyed. The apostle Peter wrote clearly, "But the day of the lord will come as a thief in the night; in the which the heavens shall pass away with a great noise, and the elements shall melt with fervent heat, the earth also and the works that are therein [including the DEVIL AND HIS DEMONS] shall be BURNED UP. Seeing then that all these things shall be dissolved, what manner of persons ought ye to be in all holy conversation [conduct] and godliness, looking for and hasting unto the coming of the day of God, wherein the heavens being on fire shall be dissolved, and the elements shall melt with fervent heat? Nevetheless, we, according to his promise, look for a NEW HEAVENS and a NEW EARTH, wherein dwelleth RIGHTEOUSNESS" (II Pet.3:10-13). At that time, Jesus Christ, the Messiah, will fulfill the prophecy and "DESTROY him that had the power of death, that is, the DEVIL" (Hebrews 2:14). At that time, all who rebel against God, all who have chosen the way of Cain and the path of Balaam, will perish. As David wrote in the book of Psalms, "Or, I say, though you are gods, all sons of the Most High, YET, LIKE MERE MEN, YOU SHALL DIE, you shall DIE LIKE A DEMON " (Psalm 82:6-7, Moffatt translation). Jesus Himself said the wicked among men would PERISH along with Satan and his demons. He declared, "When the Son of man comes in his glory, and all the angels with him, then he will sit on the throne of his glory, and all nations will be gathered in front of him; he will separate them one from another, as a shepherd separates the sheep from the goats, setting the sheep on his right hand and the goats on his left. . . . Then he will say to those on his left [the goats, symbolizing the wicked among men], 'Begone from me, accursed ones, to the eternal fire which has been prepared FOR THE DEVIL AND HIS ANGELS" (Matt.25:31-41, Moffatt). This final age-ending fire will destroy all the wicked, root and branch! Notice! This fire is SPECIFICALLY and ESPECIALLY prepared for -- who? Not the human beings who sin, but "for the devil and his angels"!!! This great holocaust will be ignited precisely in order to destroy SATAN and his demonic hordes who followed him in rebellion! Some have thought that Satan and his demons will only be temporarily punished in the lake of fire, but then their fate will be to be cast into the outer "darkness" of the remote regions of the universe, where they will as "raging waves of the sea, foaming out their own shame; WANDERING STARS, to whom is reserved the blackness of darkness for ever" (Jude 13). However, notice carefully. This verse is categorically not speaking of the fate of Satan or wicked angels. Rather, the context is clear. The apostle Jude is talking about wicked MEN -- false teachers and false prophets, like Cain and Balaam! He says, "Woe unto them! for they have gone in the way of Cain, and ran greedily after the error of Balaam for reward . . . These [evil men] are spots in your feasts of charity, when they feast with you, feeding themselves without fear: clouds they are without water, carried about of winds; trees whose fruit withereth, without fruit, TWICE DEAD, plucked up by the roots" (Jude 11-12). Notice! These evil men are "twice dead." That means they will suffer the SECOND DEATH, which is the lake of fire! As we read in the book of Revelation, "And death and hell were cast into the lake of fire. THIS IS THE SECOND DEATH" (Rev.20:14). Thus this passage in Jude describes false teachers who inveigle their way into the Church of God, and seduce members to follow them! It is not even remotely discussing the final fate of Satan the devil or his demons. These false teachers are compared to "wandering stars" today, in that they wander from place to place, seducing, deceiving, and misleading people. Their eventual "fate" will be "blackness of darkness forever" -- that is, to have their lives snuffed out in the lake of fire, and to be totally unconscious and dead, forever!